Computer networks are everywhere, linking devices together to make them more powerful and increase our own efficiency. We use networks all the time: at school; at work; at home; and, increasingly, when we're anywhere. Our networks can be wired or wireless and you need to know the advantages and disadvantages of each. Networks can be classed as LAN, WAN or PAN in terms of the area they cover. 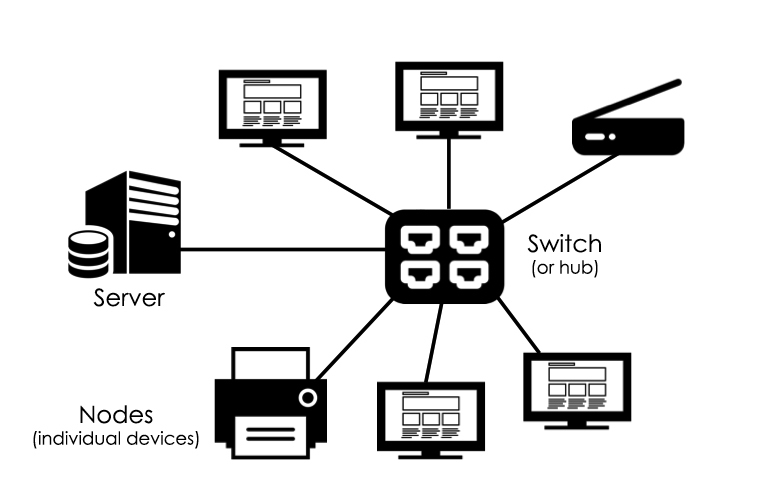 A network topology is how a set of devices are organised. You only need to know about Bus and Star topologies. You need to be able to draw and label each topology - assume there will be 3 marks for doing this. Make sure you only include what's asked for - so if they ask for a three computer network with a printer, only draw those things (not a server, for example). This page created: 5 March 2019. Last updated: 6 March 2019.